Afternoon, all! We’ve got something exciting to share with you today. Have you ever wanted to design your own tabletop game? Got a great idea for a board game, but haven’t got a clue how to go about making one? Have you designed their first game, but can’t figure out why it isn’t working like you want it to? Do you just want to know more about how we design games? Over the past eighteen months we’ve had countless questions, emails and Facebook messages along these lines. After a lot of deliberation behind the scenes, we’ve decided it was time we put our knowledge into practice! And so, we’re happy to present Needy Cat Games: An Introduction to Tabletop Game Design. 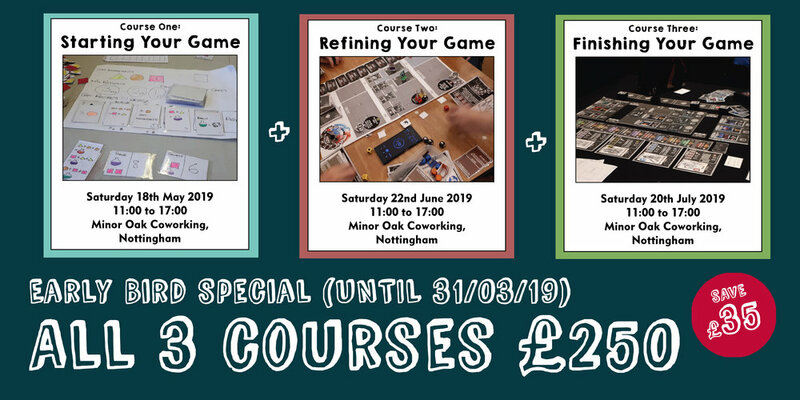 This is a series of three one-day courses, based here in Nottingham, aimed at taking you through the key stages of designing your own tabletop game. We’ve been working on this for a while now, and we’re really excited that it’s finally happening! If you want to skip the details and get your tickets, head to our shiny new Courses page! The individual courses are detailed below. You can attend all three if you want us to guide you through the whole design journey, or just come along to the ones that are most useful to you. Tickets are very limited, though, so book early to avoid missing out! A morning of game design theory, presented in a fun, informative and interactive fashion. A slap-up lunch, as well as hot and cold drinks, biscuits and snacks throughout the day. An afternoon of workshops and exercises. A take-home game design pack themed around that day’s course, featuring things like blank components, templates, printouts, reading lists and other freebies. 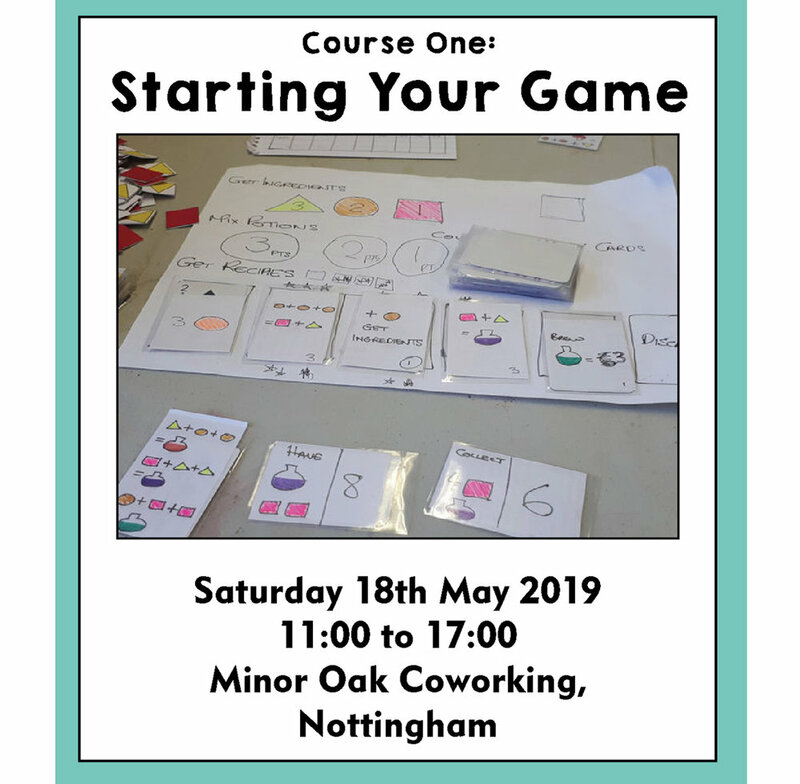 PLUS you can join us after the course for an informal drink – and maybe a board game or two! We’re keeping the courses intentionally small, with a maximum of twelve attendees per day, so there will be plenty of time to engage with us directly and ask us any questions you have. The first steps to designing a board game. During the day we will help you come up with an interesting concept for a game and create a “test build”, which you will then develop as the day goes on. We’ll provide everything you need. The stages of game development. How to iterate your design. For this course, we ask attendees to bring a game they have designed. Don’t worry about bringing something perfect! During the day we will give you the chance to test and develop your game with our assistance. Self-publish or sell to a publisher? 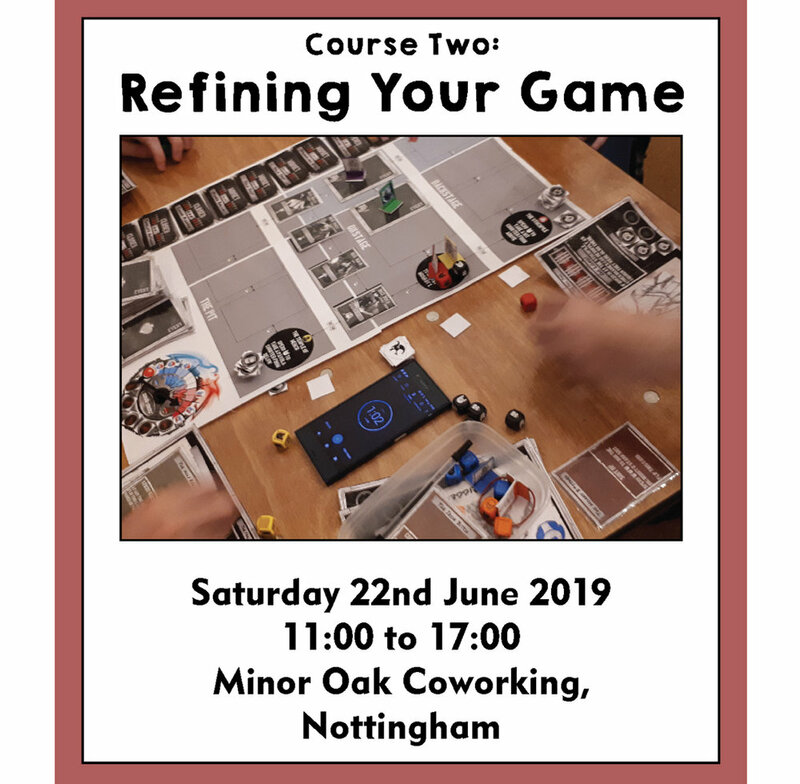 For this course, attendees are invited to bring their own game, but this is not mandatory. During the day you will have the chance to polish your design, and also spend one-on-one clinic time with Sophie and James. The courses are priced at £95 per person per course. If you want to buy tickets, click this button! Attendees must be aged 18+. If you cannot attend a course that you have paid for, we will only be able to issue a refund if you let us know at least five working days before the start of the course. If you’d like to come to all three, we’re offering an early bird bundle price of £250 for all three courses until the end of the month. That’s better than 10% off, as a thank-you for getting in early and helping us with the setup costs! We can’t wait to run these courses - we think they’re going to be something really special. We hope to see you there!